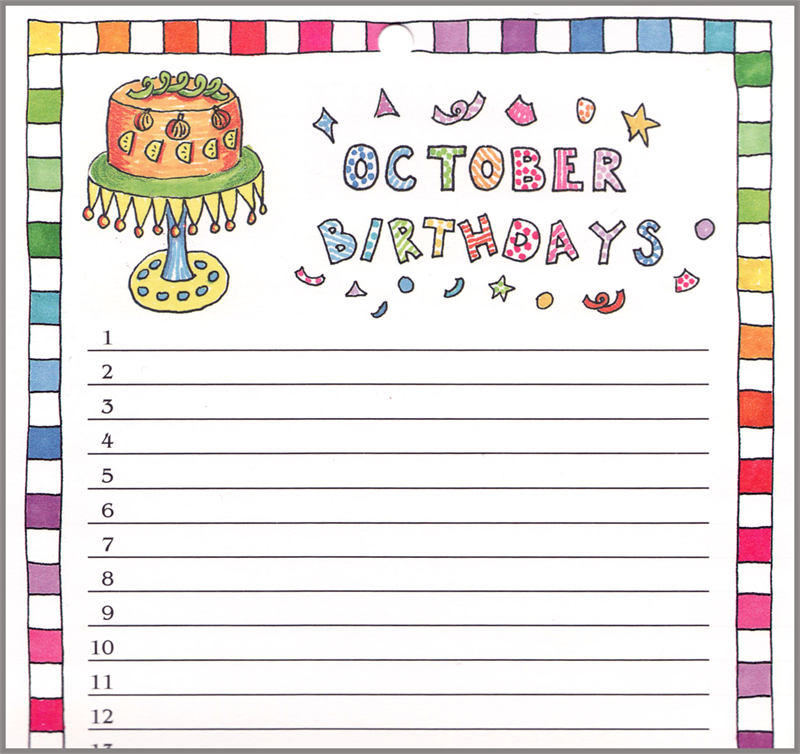 This is a very handy perpetual birthday reminder calendar. 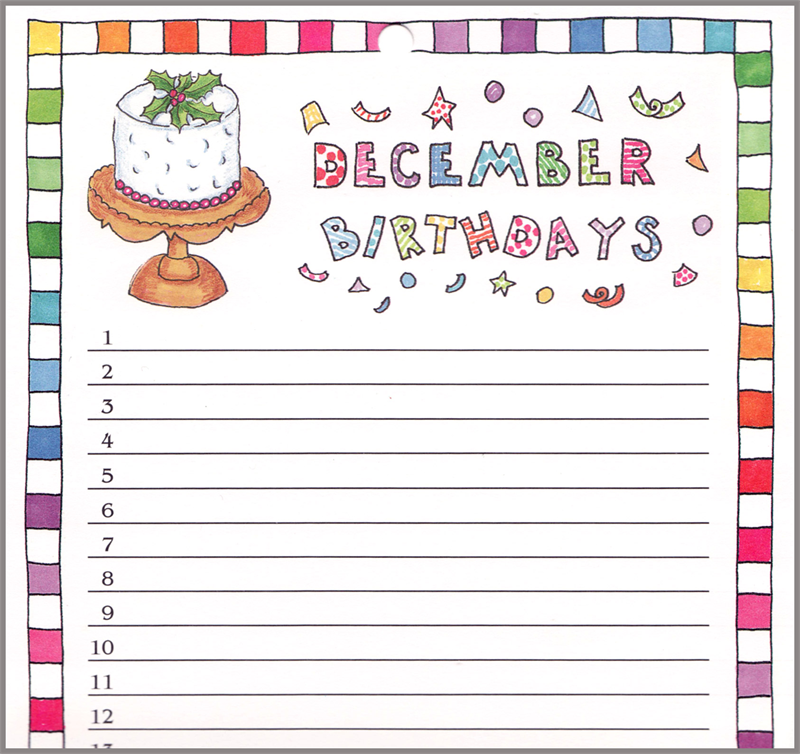 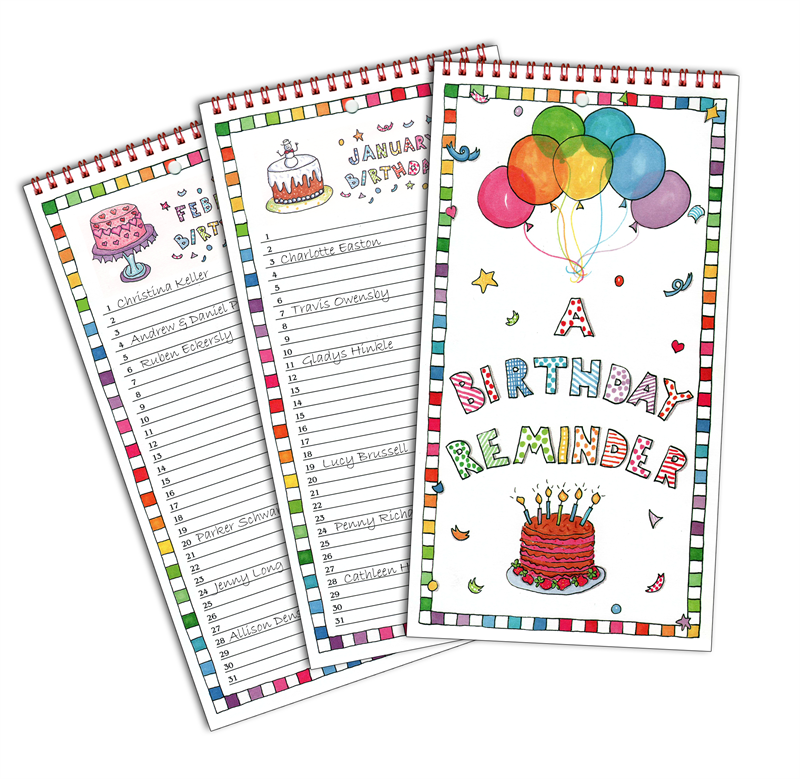 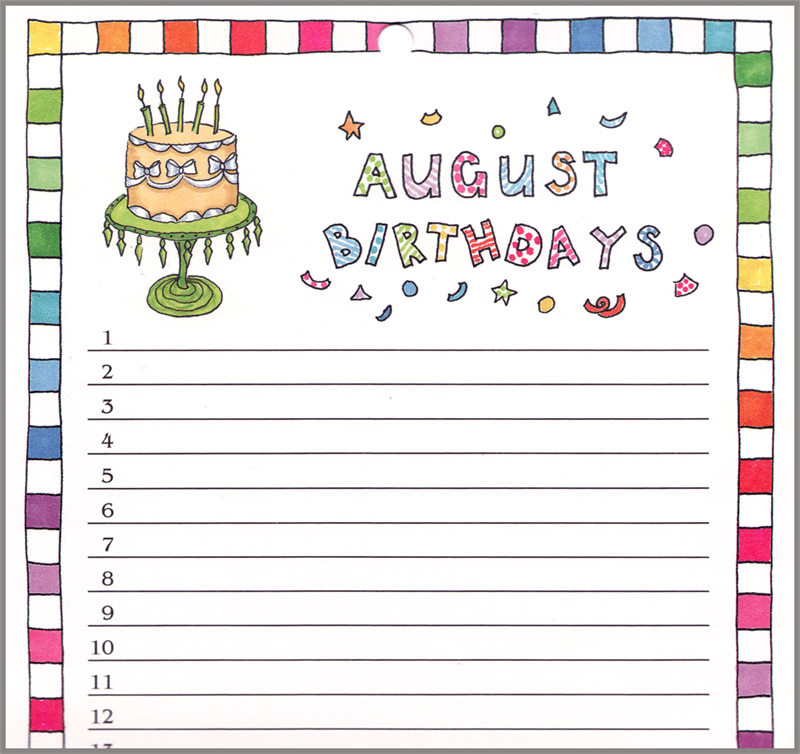 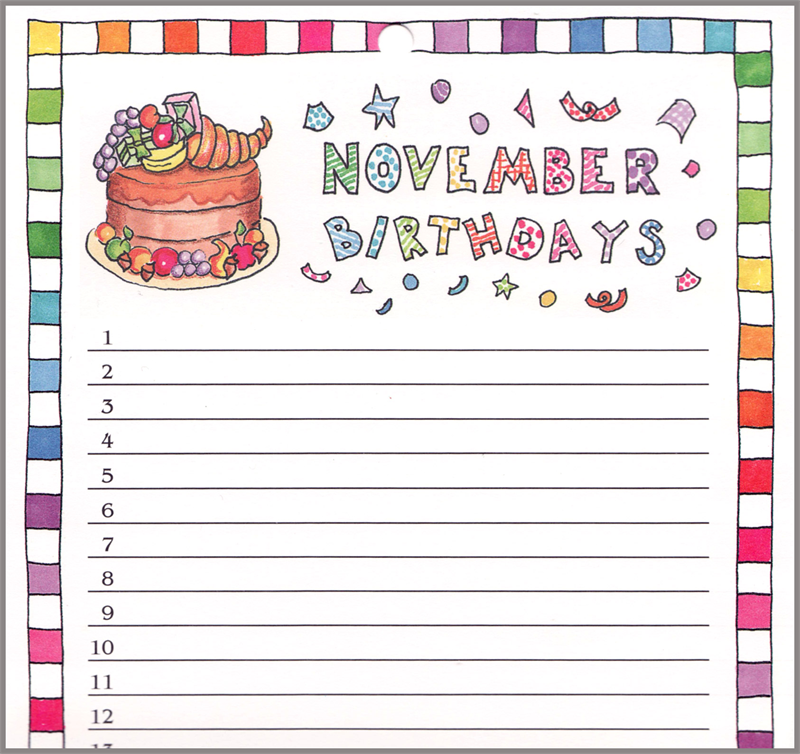 Simply write in the birthdays or anniversaries on the date and flip the pages as time passes. 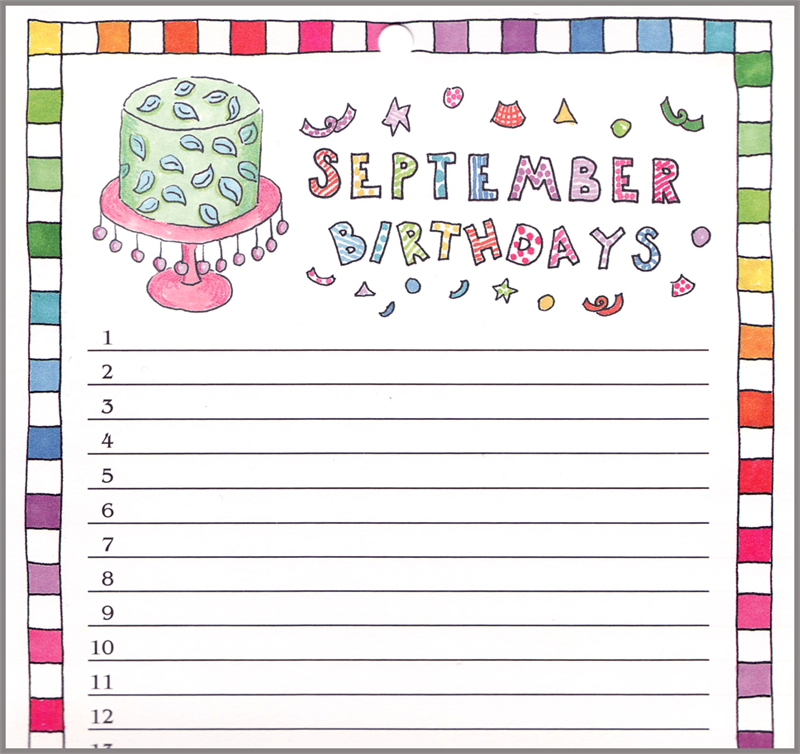 Each month has a cute little seasonal birthday cake at the top.